This unique Pentremites sp. 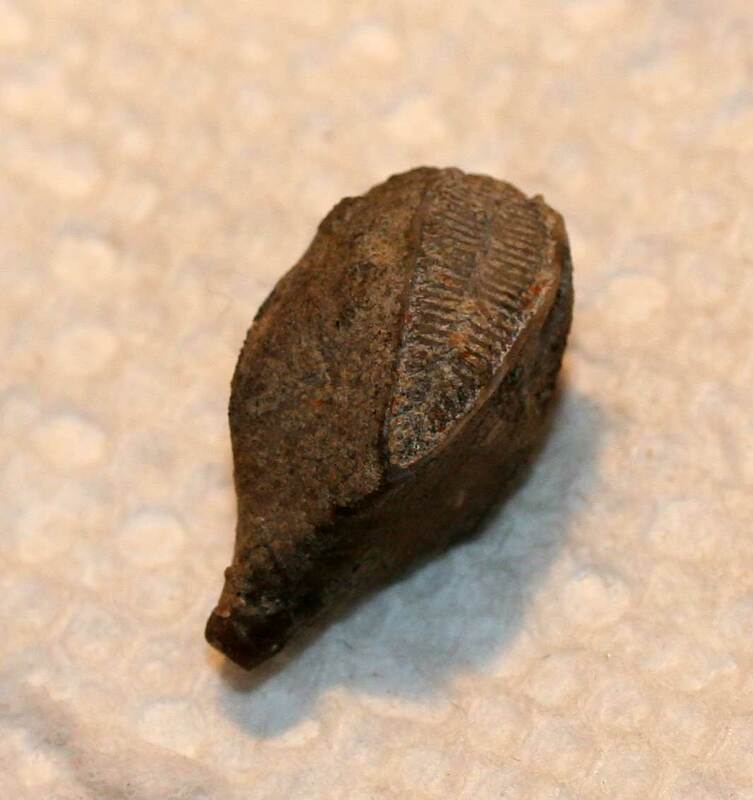 blastoid fossil was found in the Indian Springs Formation of Crawford County, Indiana, USA. 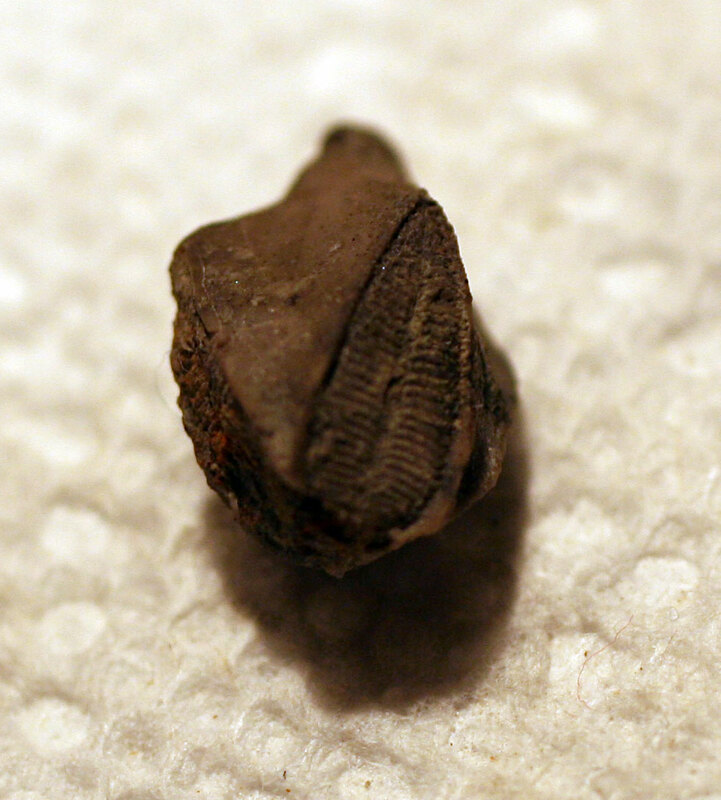 It is unique because instead of having five ambulacra (food gathering sections populated with hair like brachioles), this specimen only had three. 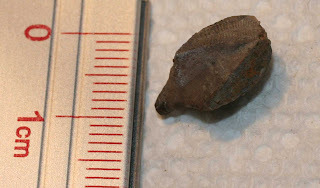 It is about 1 cm long so it was able to function with fewer sections and grow to this respectable size. Why it mutated would be a good question to get an answer to. I did not look to see how many holes were at the top of it. If there were only three holes and more of these creatures existed it could be called a Tritremites sp. This animal lived in the Mississippian Period.